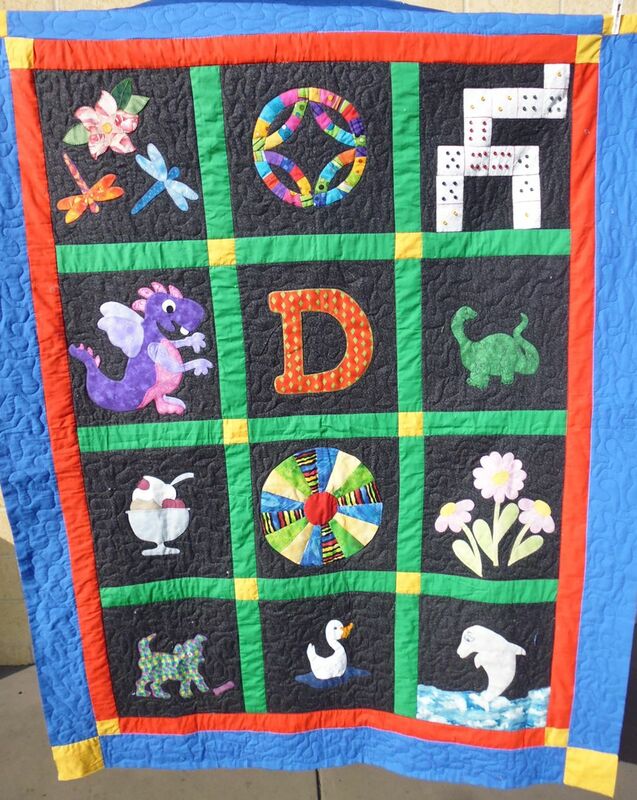 I think the applique pieces, and possibly even the quilt top itself, were made some time ago — one of the pieces had ‘2003’ written on it, and the fabrics used in the sashing strips and borders seemed a decade or two old. 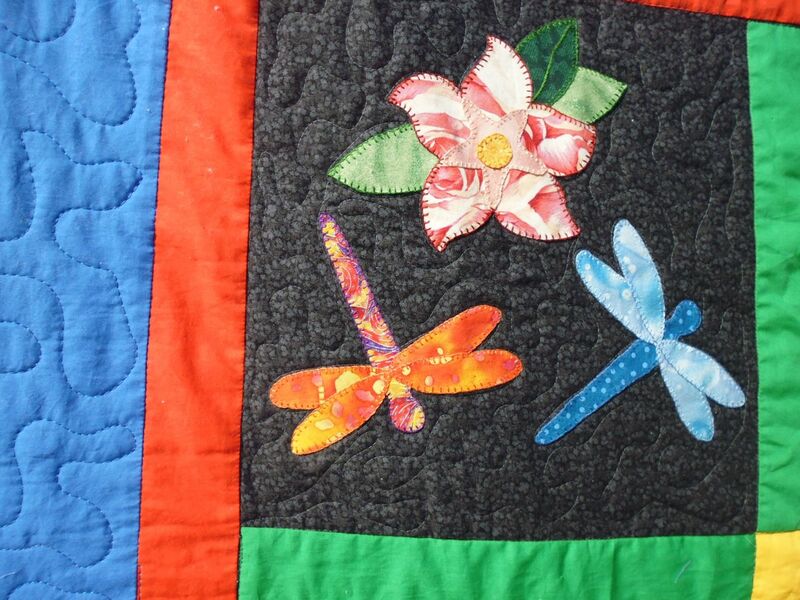 I started by stitching in the ditch around all the main blocks, then stitching around the edge of each appliqued centre, then doing a simple stipple in the dark background fabric without stitching into any of the applique work. For the border, I ditch stitched around the borders, then did a simple stipple in the blue border, leaving the sashing strips and red border unstitched.